Liberty Development's eko courtyard community in Unionville conveniently locates on Highway 7 and Warden - heart of Markham centre - with easy access to all facets of modern living. Plus amenities like gym, indoor swimming pool and underground park, no wonder eko condos, 75 South Town Centre Blvd, are much sought after homes for many. 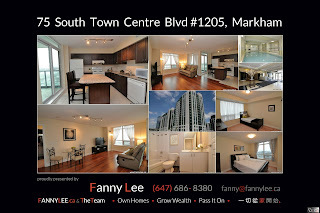 To top that off, our featured 2-bedroom #1205 corner unit enjoys unobstructed south view. Open, spacious, contemporary and with many upgrades. This beautiful home is hotly contested. Seize the opportunity and book a showing online now.